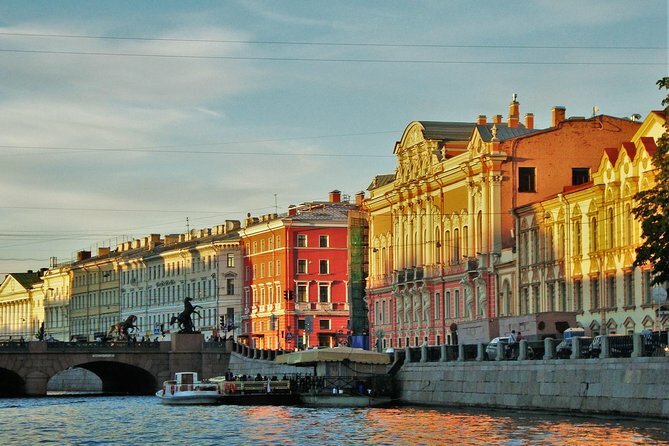 This 5-hour private St Petersburg tour is best way to enjoy the legendary city of Gogol, Pushkin and Dostoevsky and to walk through the most historical sights of the city. Meet your knowledgeable local guide in hotel lobby who can customize the tour for you. Then, set on a historic journey to uncover many secrets about the local history and life. On this walking tour you will see the city's main attractions and monuments and get an inside perspective on the local landmarks. Explore Kazan Cathedral, Church of Our Savior on Spilled Blood, Palace Square, Beloselsky Beloozersky Palace, Anichkov Palace, monument to Catherine the Great, beautiful bridges, canals and striking equestrian statues. Drop into Eliseev Emporium for the mouth-watering desserts and chocolate souvenirs. Try the best coffee in the coffee capital of Russia. Finish the tour with a traditional lunch in literary cafe (not included in tour). 10am - Meet your guide in the hotel lobby. 10.30am - The tour starts with visiting the most ancient and vibrant street of St Petersburg, Nevsky Prospect. It is also one of the widest and longest streets of the city, which is known as a central shopping street and the hub of the city's entertainment and nightlife. 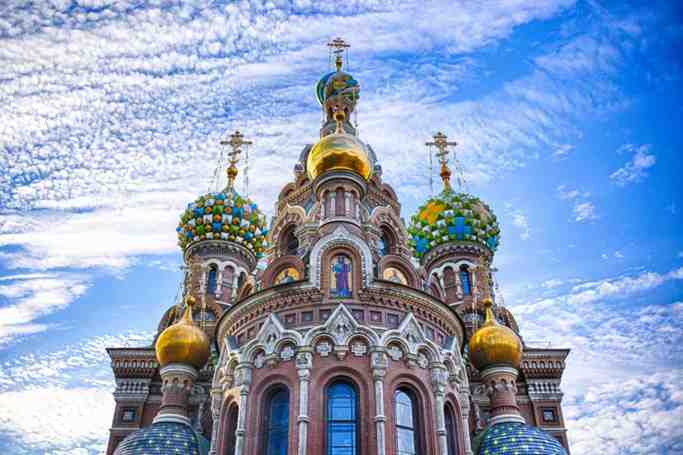 11.00am - Then admire the exquisite architecture and luxury interior of Eliseev Emporium, immerse yourself in the historical atmosphere of the Kazan Cathedral, St Isaac’s Cathedral, the Winter Palace and Hermitage (from the outside). Hear fun facts and stories from your guide about the Winter Palace and Hermitage (from the outside). 12.00pm - Stroll through the largest and oldest shopping center of St Petersburg, Gostiny Dvor, also known as Northern GUM. 2.00pm - See two amazing parks, three legendary cathedrals, four embankments and many beautiful bridges and squares. Your guide will tell you interesting fun facts about the history of Russia and fascinating stories behind top attractions. Walk along Neva embankment to see: Palace Embankment, Griboedova Channel, Admiralty Embankment. See picturesque Moika Embankment and Lebyazhya Kanavka Embankment. Check from outside (and optionally see from inside some of the places): The Hermitage, Triumphal Arch. See the buildings of Imperial Army General Staff and Royal Guards’ General Staff. Snap pictures of the legendary Grand Lions, the Admiralty, the Admiralty Garden and the monumental Alexander column. Explore Iron Horseman, Michael Palace, Catholic Church of St. Catherine. See from outside the Marble Palace, Saint-Petersburg State University of Culture and Arts. 3.00pm - Finish the tour at Moika Embankment or English Embankment that are left for dessert as one of the most scenic places in the city where you can take breathtaking shots of the surrounding views. Your guide can help you get a river boat ride, if you like.